Drawing on the best scholarship and their own years of professional experience, Stephen F. Duncan and H. Wallace Goddard provide a practical, how-to guide to developing, implementing, evaluating, and sustaining effective family life education programs. 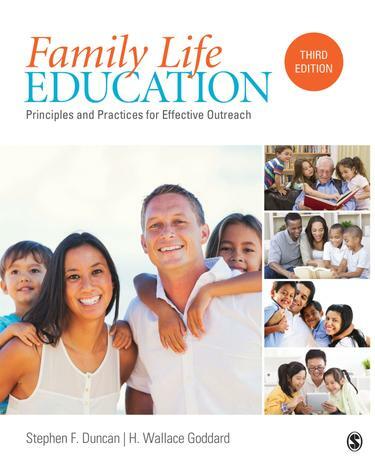 This thoroughly updated Third Edition of Family Life Education: Principles and Practices for Effective Outreach begins by discussing the foundations of family life education and encourages readers to develop their own outreach philosophies. Readers then learn principles and methods for reaching out to the public and how to form and use community collaborations and -principles of social marketing to promote programs.